Civil Service Local recently helped deliver a ‘Meet the Neighbours ‘ discovery day at Rosebery Court in Norwich. Around 200 local civil servants from over 14 different departments and agencies based in and around the city came together to develop stronger connections, open up channels of communication, gain a better understanding of their shared skills and expertise, how they can work more closely together and open up potential career pathways for individuals. Departments showcased on the market stalls included DWP, Cabinet Office, HSE, HMRC, VOA, HM Prison Service, Defra and Crown Commercial Services. Local staff also shared their knowledge in workshops including Success Profiles, Mental Health First Aid and Health and Safety in the Workplace. 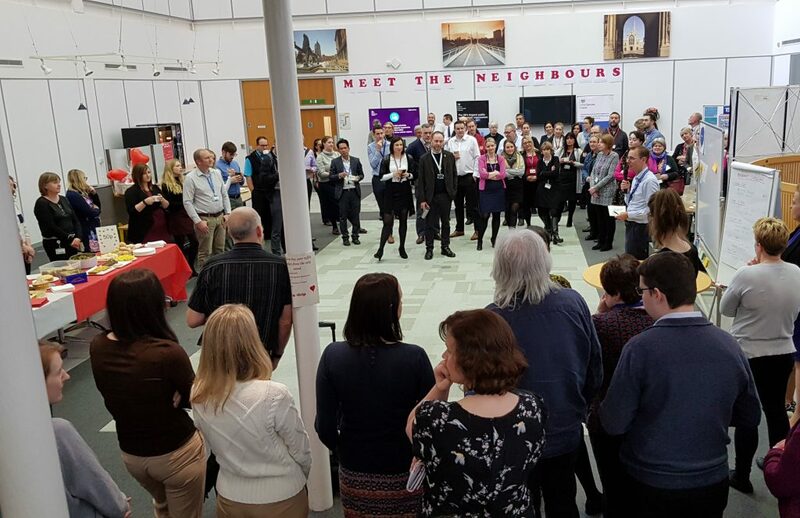 95% of those attending agreed they learnt something new and really appreciated the networking and finding out about what other departments do, some they previously did not know about. As well as all this local staff demonstrated their talents by baking a delicious selection of cakes, the sale of which raised £320 for local charities. If you would like to work with us to stage a similar event in your locality, please get in touch.